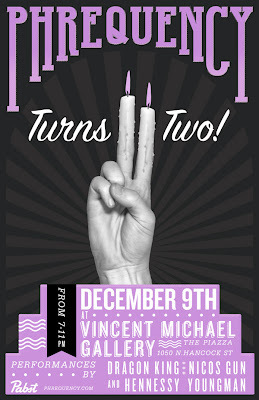 I recently designed a limited edition sticker for my friends over at Phrequency.com for their second year anniversary. 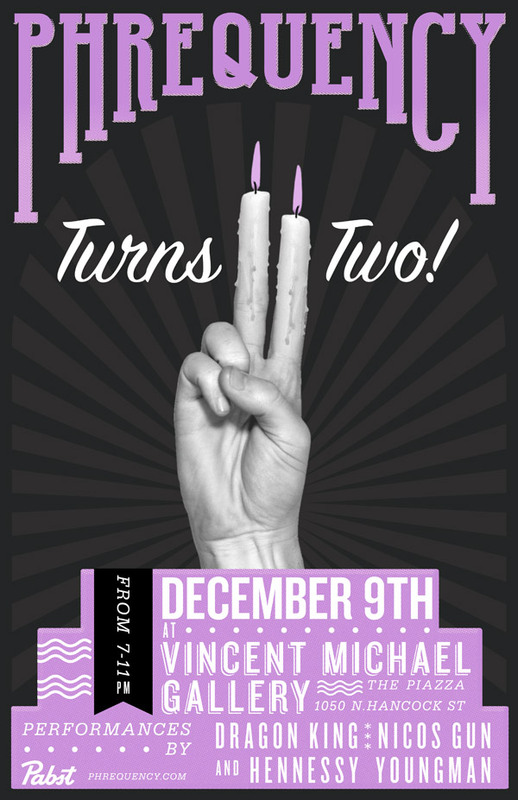 The stickers will be given out at their 2 year birthday bash at the Vincent Michael Gallery on December 9th. The top image is of the sticker that I made for them, and the bottom image is a poster that my main man Matt Gribben designed for the event.